The 23-year-old playmaker had been heavily linked with a move to Rangers this summer. 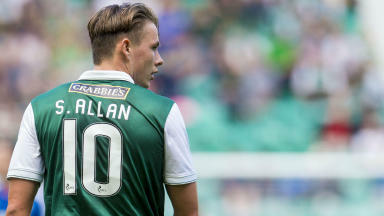 Celtic have completed their move for Hibernian's Scott Allan - beating rivals Rangers to the signing of the playmaker. The 23-year old was the centre of a transfer tug-of-war this summer after multiple bids were turned down from the Ibrox club - with Hibs boss Alan Stubbs adamant that Allan would not be sold to their Championship rivals. But Celtic have now swooped for the highly-rated midfielder - signing Allan on a four-year-deal following a summer of transfer speculation. Hibernian have also announced the signing of Celtic's Liam Henderson on a one-year loan deal. “I am absolutely delighted to sign for Celtic, such a fantastic club," Allan told Celtic's website. "It is such an honour to be given this opportunity and I can’t wait to get started and play my part in bringing success to Celtic and our supporters. “There are so many exciting challenges ahead for us now in Scotland and in Europe and I am looking forward to being part of all that lies ahead. "I know a number of players well at the club already, so it will be great to team up with these lads again as well as all my other new team-mates, and I know we will work hard together to bring more good times to our fans." Celtic manager Ronny Deila said: "We're really pleased to welcome Scott to Celtic. He's a player of huge potential and someone who is hungry for success, a young player who can have a big future at our club." The move brings to an an end a transfer saga which took many twists and turns over the past few months - with Rotherham United another interested party in the Scotland Under 21 international. Rangers made an opening bid of £175,000 for Allan on July 23 before following that up with a second bid of around £250,000 just hours later - with Hibs throwing out both offers. 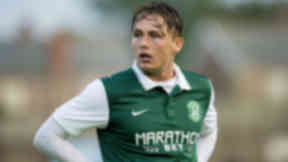 The player himself informed Hibs of his desire to leave the club in the days that followed, as Rangers boss Mark Warburton defending his club's pursuit of Allan. A third bid from Ibrox for the playmaker was rejected on August 4, with Rotherham United holding a fleeting interest in Allan before dropping out of the race soon after. 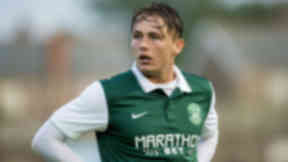 But the saga came to a close with Celtic's move for the Hibernian midfielder. Meanwhile promising young Celtic midfielder Liam Henderson has joined the Easter Road side on a season-long loan deal. The 19-year-old enjoyed a similar three-month spell in Norway with Rosenborg earlier this year and came on as a substitute in Celtic's 2-0 win over Partick Thistle. Hibs head coach Alan Stubbs told his club's website: "Liam is one of the best and most talented young players in Scotland. "He’s a good, modern midfielder who can score goals, and he has played first team football for both Celtic and Rosenborg. He’s an exciting player I rate really highly and I am delighted that he is coming. "While we were prepared to allow Scott to run down his contract and play his part in an important season for us, this opportunity provides a really good outcome for everyone. "Scott gets a move as he wanted, while we bring in a high quality player who is motivated to join us as we push for promotion. "I’d like to say I am delighted with the support I’ve had from Rod, Leeann and the Board, and I’d also like to record that Scott has been a pleasure to work with. We wish him all the best for the future."